The traditional four-year college path isn’t for everyone. Do you prefer hands-on learning? Enjoy troubleshooting? Becoming a licensed electrician might be the right career for you. What Is the Average Electrician Wage? Your wage as an electrician depends on your level of licensure – apprentice, journeyman or master. Not only is an electrician career profitable, but it’s a skill that you can put to use no matter where you live. There are many different types of electricians, offering you the flexibility to work in an area that best suits you. Below are a few examples of possible jobs you could qualify for as a licensed electrician. We’ll talk more about specialized education in Step 5. According to Natalie Winzer of iHireConstruction, over 11,000 new electrician jobs were added to their database in July 2018. And the need for electricians is projected to grow nine percent from 2016 to 2026 as homes and businesses require more wiring. Here’s how to enter the field. A solid understanding of mathematics will be a big help to enter the field. If you’re a high school student considering an electrician career, take courses like algebra, physics and other technical sciences to get a basic understanding of electrical principles. If you’re not a high school graduate, you should focus on getting your GED as your first step to getting into the field. You can find more information on preparing yourself for this career from professional trade organizations and apprenticeship programs. On-the-job training is a major component of becoming an electrician. The best way to learn the trade is to work with a seasoned professional. Wondering where to find an apprenticeship? You can start by applying with the NECA, searching for job postings in your area or asking your high school guidance counselor about placement programs. If you can check all those boxes, it’s time to get to work. Ask electrical contractors and journeymen in your area about coming on as a helper. Testing and inspecting electrical systems. Reading construction blueprints and technical diagrams for electrical plans. Installing, repairing and maintaining electrical wiring, lighting fixtures and various electrical control systems. The best part of this approach? You get paid while you learn. After you’ve registered as an apprentice, the next step is to complete classroom training. This is where you’ll learn the ins and outs of local building codes. Ask the journeyman or electrical contractor you’re working with to point you in the right direction. Each state has its own organization that licenses electricians, so requirements may vary. Generally, you must spend at least four years in the field before you qualify for licensure. Check out this State-by-State Electrician Licensing Guide to find the prerequisites in your area. Inside wiremen specialize in commercial installations, often connecting electrical systems to an outside power source, then distributing the power throughout the facility. 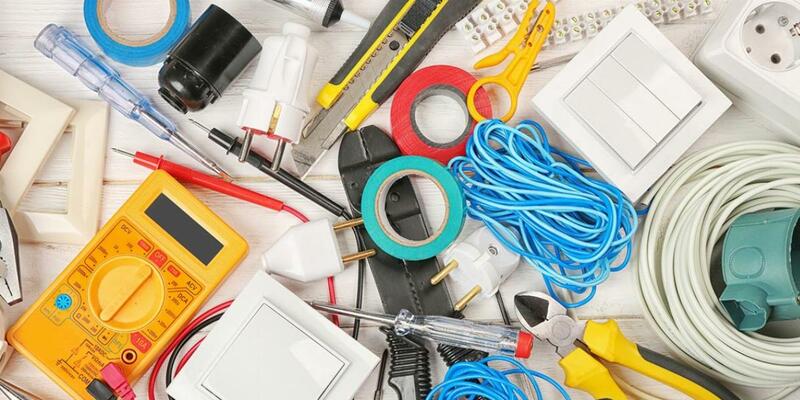 From lighting fixtures and electrical outlets to installing alarm systems and control panels, they are responsible for maintenance and repair of new and existing electrical systems. A residential wireman typically installs and distributes power to single and multi-family housing. Installing main circuit breaker boxes and repairing faulty electrical lines are their basic tasks. But as homes become smarter, they’re also involved with planning for new builds. From security alarms to computer networking and cable television, residential electricians are trained to troubleshoot a wide range of systems. Outside linemen install, repair and maintain outdoor power lines – often to fix damage during or after severe weather. This job requires physical strength, stamina and balance to climb towers and poles. Outside linemen often work several hundred feet in the air, making this one of the most dangerous electrician jobs—but also one of the best paid. Ready to Become an Electrician? With so many different types of electrician jobs available, this career path offers a lot of flexibility paired with hands-on training. From job security to the ability to live and work anywhere in the country, there are many perks to working in this field. Interested in exploring other careers in the trades? Check out the Trades and Construction section of our blog for more industry resources. 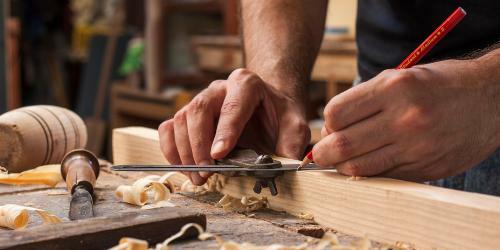 Trades 101: Is A Career in Carpentry Right for You? To help you decide if carpentry is the right career for you, we interviewed Mike Glavin, the Director of Workforce Development Policy and Programs at Associated Builders and Contractors. 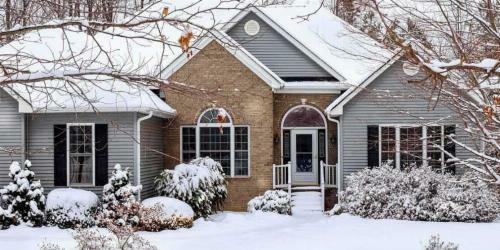 Need new ideas to carry your lawn care business through the winter? We’ve rounded up five services you can offer to grow your business even during the off-season.